Learn How To Photograph the Aurora. Hey Folks, I’ve just (finally) uploaded by first eBook to the web! How ’bout that???? And all kinds of other cool info. Get the download below. If you have any questions or problems with your download contact me here. 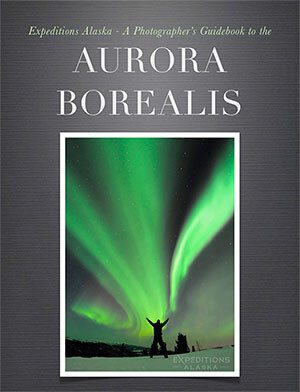 Download form for free Aurora Borealis Photography Guide eBook. View my Northern lights photo Gallery. So, here are a few quick screen captures from the eBook for you. Check them out. At the bottom of this post you’ll find a link to access the eBook. I’ve posted 2 versions of the Aurora borealis eBook for you. There’s an iBooks version, which works great on iOS and OS X (Mac) devices. I think this one is best. The other version is (the same content) in a PDF, which will work on just about any platform, including a Kindle reader (or the Kindle app on any tablet). Pick which one works for you and you’re good to go. Reasons why I recommend you download it? Tons of great aurora borealis photos. I think it’s a helpful outline to anyone learning how to shoot the northern lights. It took me forever to design it. It’s an update from my How to Photograph the Aurora Borealis blog posts a number of years ago. Recently updated, with a bunch of new information as well. There are over 130 pages (as of this edition), tons of big aurora borealis photos, some helpful info and links to resources on forecast and other cool stuff. it also includes some stories I’ve written on my experiences shooting the northern lights; all compiled into one big fat luscious ebook. Tough to beat all that. All you have to do is fill out the form that pops up and you’re done. You’ll get an email with links to either version of the eBook. Take a look, and if you do choose to download a copy, I’d love to hear your review of the ebook. Thanks so much. Hey folks, I hope you’ll enjoy this download. I’d love to hear a follow up email from you with any reviews and critiques, that would be awesome. Thanks so much.